"We keep tryna one up each other. How bout helping out one another. Let's count our blessings & care less of our social status." Now, I've been a part of this group and have done this out reach before.. however, this past Saturday was one for the books. Our location of choice this month? Skid Row, Los Angeles. This was my first time ever on Skid Row, & it was a definite eye opener. We rolled about 6 cars deep into the streets of Skid Row, and as we stepped out, it's like people knew what we were there for. The look of hope in their eyes as they reached out for us to hand them a Love Bag was priceless. Usually, we like to engage in a conversation with them, but it was a bit overwhelming because the demand for our love bags were high. Unfortunately, some Love Bags did not have toilet paper, but that's what people wanted. This broke my heart because these people wanted the simplest of things- the things we take for granted. It made me want to reach out to them even more. I handed a Love Bag to one man. I asked him how he was doing (stupid Michelle.. of course he's not doing okay) but he gave a look like "it could be better". A few seconds later, he approached me again and said "you know, you remind me so much of my daughter. You look like her.. she is half black and her mother is hawaiian." This moment hit me the hardest. I wanted to start crying but had to keep strong. It honestly caught me off guard & didn't know how to continue the conversation. I came up with "awh really? Well thank you.. thank you so much." I literally started tearing after that. It made me wonder what happened with his family. What was the story behind him? Of course, I didn't ask, but it helped me connect with him. We ran out of bags and all of MIP was sadden that we were not able to provide for EVERYONE there. We made over 250 Love Bags & it was still not enough. 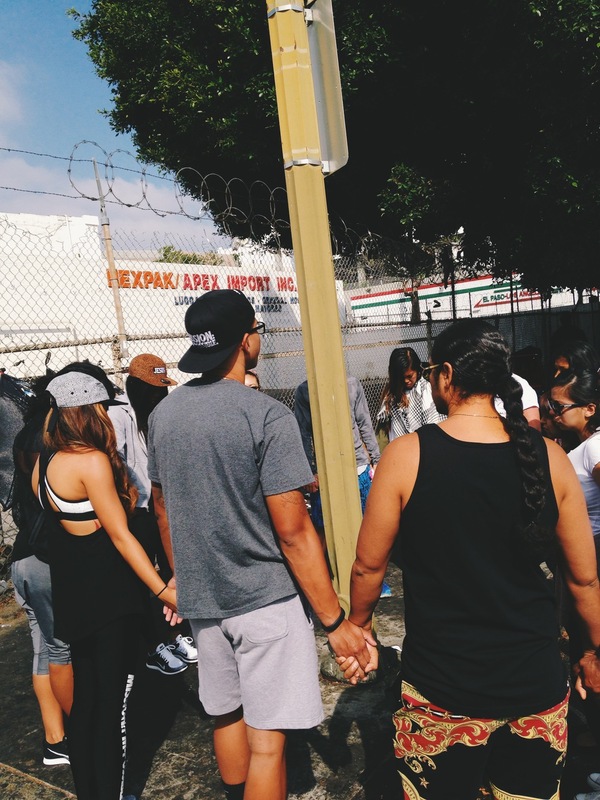 As we came together holding hands, we shared our testimonies. It was beautiful to see the tears drop from nearly everyone. It truly showed how passionate we are with helping those in need. Being materialistic is not as fulfilling and it truly doesn't compete with things that cannot be purchased like compassion. People are praying for what you're taking for granted. I am even more motivated to help others, inspire others & motivate others.